The Empress Matilda: Queen Consort, Queen Mother, and Lady of the English by Marjorie Chibnall. Wiley-Blakewell, 1993. ​The definitive autobiography of our favorite English lady! 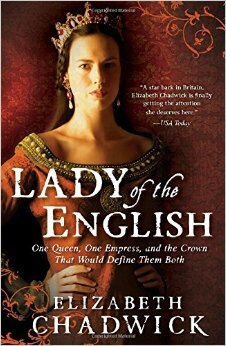 She-Wolves: The Women Who Ruled England Before Elizabeth by Helen Castor. Harper Perennial, 2012. Places Mathilda's life in historical context with other powerful female royals. Lady of the English by Elizabeth Chadwick. Sourcebooks Landmark, 2011. The story revolves around both Mathilda and her stepmother, Adeliza of Louvain. When Christ and His Saints Slept by Sharon Kay Penman. Ballantine Books, 1996. Features several characters from "The Anarchy" period and looks at the conflict from both sides. The Pillars of the Earth by Ken Follett. Signet, 2010. ​Mathilda's struggle to retake the English throne from her cousin, King Stephen, serves as the backdrop for this fictional tale of one village's effort to build a magnificent cathedral.